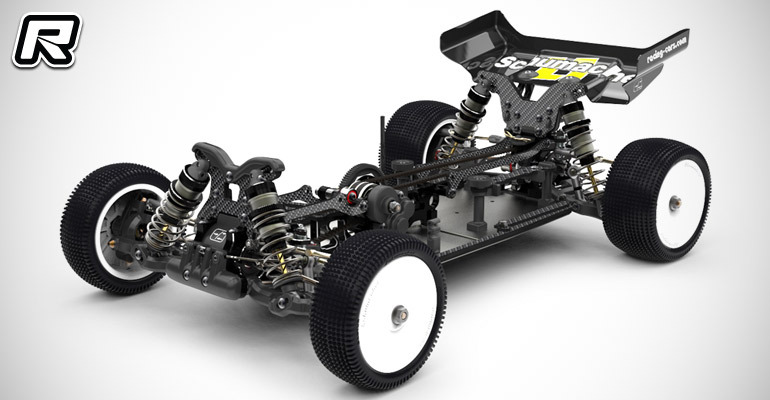 Schumacher have introduced their latest contender for the competitive 1/10th 4WD buggy class in the form of the CAT L1. Developed in cooperation with Schumacher’s World Class drivers Michal Orlowski and Jörn Neumann, the L1 features a 3-gear centre transmission for opposite motor rotation, improving agility and steering on high traction surfaces as a lightweight layshaft and side gears make for reduced rotational masses. In addition, small, low rotating mass gear differentials with 3-position height adjustment allow to fine-tune driveshaft plunge for mixed track conditions. Another drivetrain gizmo is the FAB Front Adjustable Brake System with larger 22 tooth pulleys as a pinned and centre-mounted motor mount makes for a low overall centre of gravity. 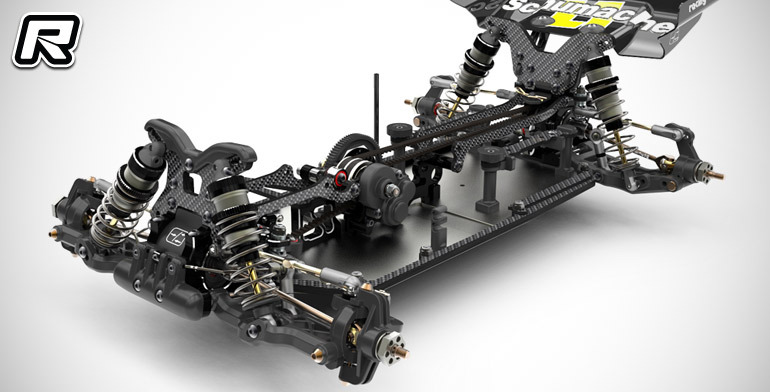 The buggy builds on a new 7075 aluminium chassis – with vertical top decks – to which the updated suspension is attached. New to the L1 are updated geometry wishbones, new rear hub carriers featuring new vari-length wishbone and hub geometry as well as revised front pivot strap inserts for front track width adjustment and nd new 8°, 10°, or 12° front rake adjustment. New big bore shock absorbers and an AEROX body and wing round out the all-new package. The car, that was used in prototype stages by Michal Orlowski to sweep the EOS rounds in Germany and Slovakia, is set for a release in April.